Renowned Japanese artists BORIS and MERZBOW have completed recording a new collaborative full-length LP entitled Gensho (Japanese for “phenomenon”) under the name BORIS WITH MERZBOW. Gensho is a unique release featuring over 150 minutes of new music spread across two discs. The BORIS tracks are new reinventions of the band’s classic songs, while the MERZBOW songs are new compositions. 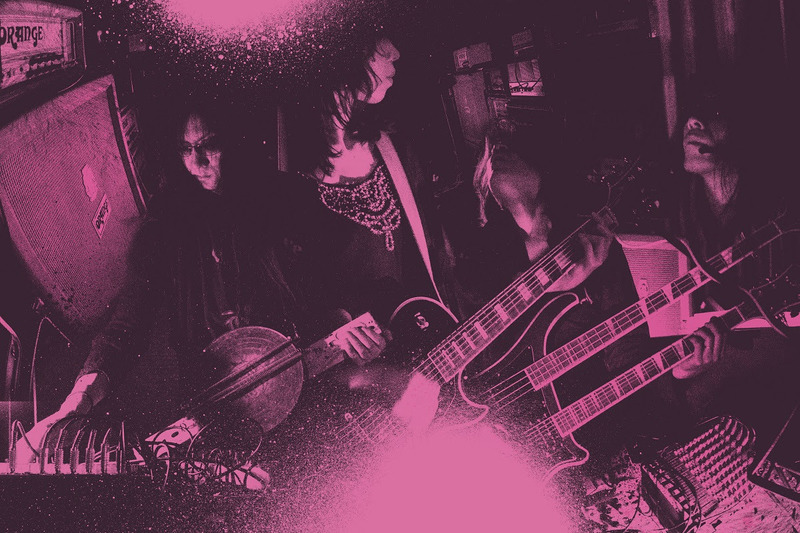 BORIS and MERZBOW have each contributed exactly the same amount of music, with the two discs intended to be played at the same time on physical speakers at varying volumes so that the listener can experience their own “gensho/phenomenon” every time. The artists also commented, “Of course you can enjoy both albums separately, as a separate work.” Gensho is slated for a February 2016 release via Relapse Records. Though the artists have an extensive history of collaborating with one another, this latest effort was born out of a one-off show in 2014 for Boiler Room TV, when the two acts decided that their set from that day was worthy enough to perform in the context of a proper studio recording. As with every BORIS and MERZBOW release, the only thing to expect is the unexpected. Each artist’s individual contribution to Gensho weaves through countless disparate textures with a varied sonic palette, to say nothing of the effect when both records are played simultaneously. The unique presentation of the album lends it near-infinite potential for aural discovery, and encourages direct interactivity with the listener rarely found in such unconventional music. BORIS WITH MERZBOW have also announced an exclusive one-off show in Tokyo on November 27, 2015 at JP Fever in support of Gensho this November. Everything BORIS sets out to accomplish is not without a dose of “special”. Such was their recent U.S. tour, half of which were two-night residencies; one night of “All-time Classics,” a set of their heavy rock, non-drone material, and a second night of the exact opposite — a complete performance of their hour-long Flood album, plus experimental/drone selections. Legendary Japanese trio BORIS announce a series of US headlining residency shows in several major markets following their performance at Austin Psych Fest in late April. The residency tour, billed as “from the past, the present and through to the future” features BORIS playing 2 consecutive nights in each city. For the first night, the band will perform its all-time classics along with many new songs never before played in the US. The second night’s set features most of Boris’ cult classic album Flood along with a noise/drone/experimental set. Please see all current dates below. Boris will also sell a limited edition tour-only release available only at the merch table. BORIS have contributed their cover of “Sometimes” for the upcoming MY BLOODY VALENTINE tribute album, entitled Yellow Loveless. The line-up features all bands from Japan paying tribute to the shoegaze legends. The tribute comes out January 23, 2013 on High Fader Records. In other news, BORIS‘ split 7″ release with ASOBI SEKSU with now available for pre-order. Check out the different pre-order bundles. Touring in support of their two recent new albums, Heavy Rocks, Attention Please, and forthcoming new album, New Album (our review), Japan’s BORIS made their return to the El Rey Theatre in Los Angeles, on November 12th, having played there their last time in L.A. just over a year ago. While known for their unpredictable and sometimes unconventional style of music output (doom, noise, drone, psych rock, pop, shoegaze), BORIS are relatively straightforward within a live setting. That is not to say, however, that their material isn’t (and wasn’t) varied. Album number three for 2011 from Tokyo’s BORIS proves to be the best of the trio. Originally meant to be a Japan-only release, New Album includes six songs from Attention Please and Heavy Rocks, which were released earlier this year plus three exclusive songs and one song that has previously been released. Before you decry that New Album is just three new songs with seven previously released songs slapped on, you should know that New Album is an entirely unique construction. Teaming up with producer Shinobu Narita, the band produce a diverse collection of ear candy. Every song is given such vivacity with layers of synthesizers, effects pedals, filters, and other assorted instrumentation to create a very euphoric, imaginative, and creative whole. The team has carefully given each song the type of rearrangement, enhancement, and/or embellishment needed to make it extraordinary. Some songs feel like distinctly Japanese off the wall video games while others are straight up goa trance meets rock, or are exercises in blast beats with half time bass drums meet euphoria. As far as the six songs that also appear on Attention Please and Heavy Rock, they exist in different forms/feel/versions on New Album. Essentially, they have been supercharged to fit the playful, experimental, and trippy nature of the album. Rearrangements or alternative instrumentation can be found in these versions. Arguable, they sound better and more stimulating here than in their original basic forms. The four new songs are excellent as well. For example, “Flare” opens the record and not only has excellent arrangements but is a great opener with its multitude of rockin ways. The superb tracklisting also greatly helps them the listening enjoyment of not just these songs but all 10 songs. The diversity of the material is also another strength. As with any BORIS record, there are different songs for different versions released in different territories and New Album is no different. Yup, they love to torment collectors. In 2002, BORIS released the excellent Heavy Rocks and now in 2011, the band is back with yet another album titled Heavy Rocks. To put it bluntly, the former is flat out superior to the latter. It’s not because it’s heavier. The songs are just better. In general terms, the new album is more about “rock” than “doom.” Heavy Rocks is also less serious or weighty in its delivery and displays the more playful, fun side to the band. But once the listeners gets to fifth track, “Missing Pieces,” the tone gets very somber and dreamlike. “Key” follows and serves as more of a segue piece before the band gets back to rockin’ on the uptempo “Window Shopping.” “Tu, la la” is by far the best song on the album. The excellent main riff just propels the song as it effortlessly glides by. “Aileron” brings things back down in the same fashion as “Missing Pieces” before the band decides to ends things on a metal note with “Czechoslovakia.” Soon after the song reaches a thrash crescendo, it simply fades out. 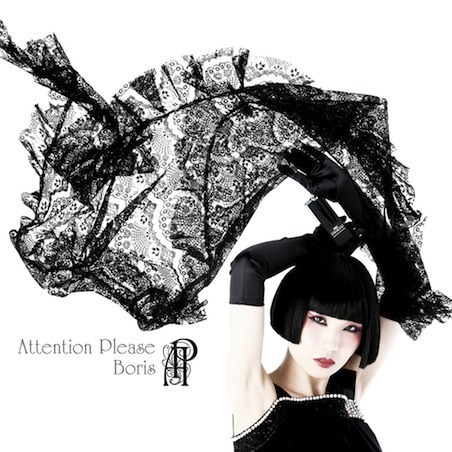 Japan’s BORIS have released the first single, “Hope,” from Attention Please, one of two all-new full length BORIS albums to be released on April 26th via Sargent House. Attention Please is this first to feature guitarist Wata on lead vocals the whole album, and showcases a distinctly different style from their previous drone/noise or doom/psych rock offerings. 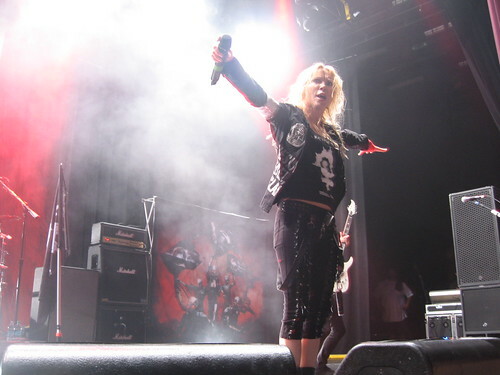 The album came to be after their round of touring in 2008. The trio set about recording new material and a new album was completed, then abandoned. The band sought to challenge themselves further, and the end results are two new albums, Attention Please and Heavy Rocks. Heavy Rocks is the other album coming out on the same day, and carries the same title as their 2002 album, Heavy Rocks. Even the cover art is similar (purple instead of orange). This edition of Heavy Rocks, however, is an entirely different album. Attention Please and its counterpart, Heavy Rocks will be available worldwide (excluding Japan) on CD and digital download via Sargent House on April 26th, 2011. The vinyl version of Attention Please will be available on Record Store Day, April 16th; the vinyl version of Heavy Rocks (featuring extended versions of “Missing Pieces” and “Czechoslovakia“) will be available on April 26th.